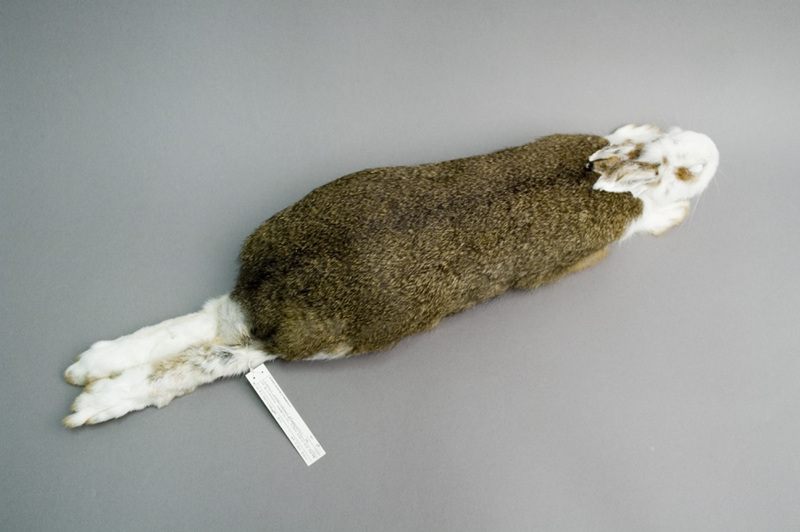 The hares' big feet act like snowshoes, letting them walk and run on soft, deep snow. They can reach speeds of 30 miles per hour and jump 12 feet in a single bound! Their brown-in-summer and white-in-winter camouflage helps short-tailed weasels sneak up on their prey and avoid becoming dinner themselves. 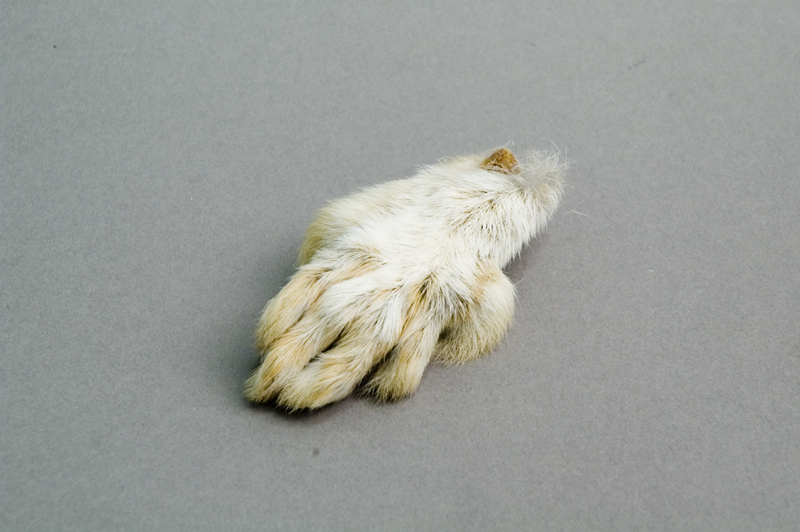 Their black tail tips confuse predators such as hawks and owls, luring them away from the weasels' vital body parts. Weasels burrow under the snow and curl up to preserve body heat. They're also able to slow their metabolism. Short-tailed weasels, also known as ermines, are best known for their fur, often used as trim on coats. 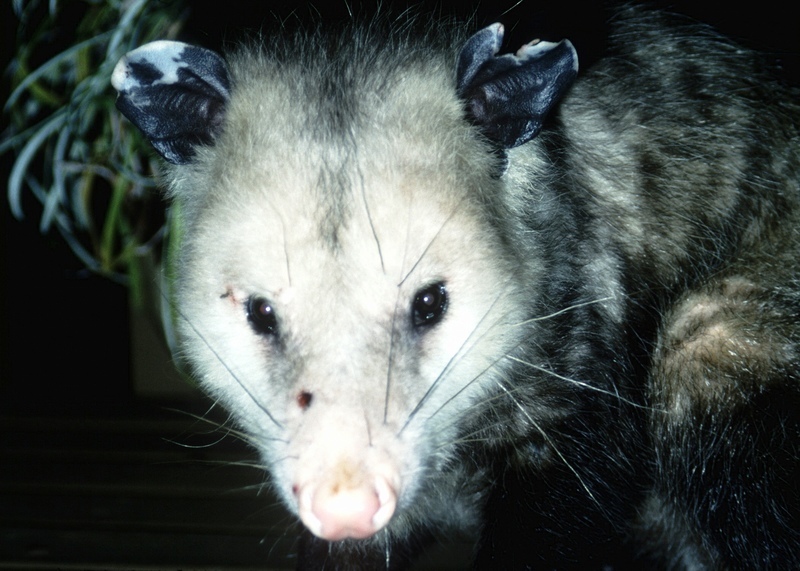 Minnesota is the northern end of the opossum's range. They stay warm, curled up in hollow logs, dens in the ground, brush piles, or under buildings, but their naked ears, noses, and tails are very prone to frostbite. 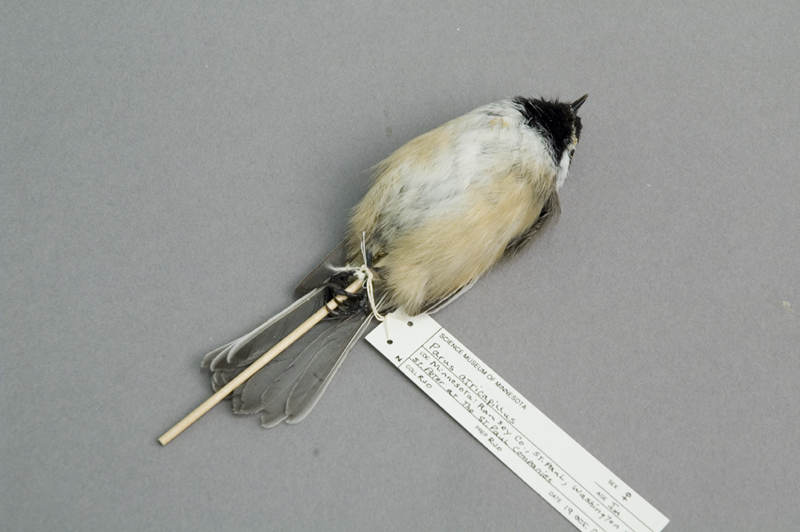 Black-capped chickadees don't migrate and are active all day, even in the coldest weather. Like other birds that winter here, they fluff up their feathers to create dead air space in between that helps insulate them. They have to eat a lot and are common visitors to bird feeders. 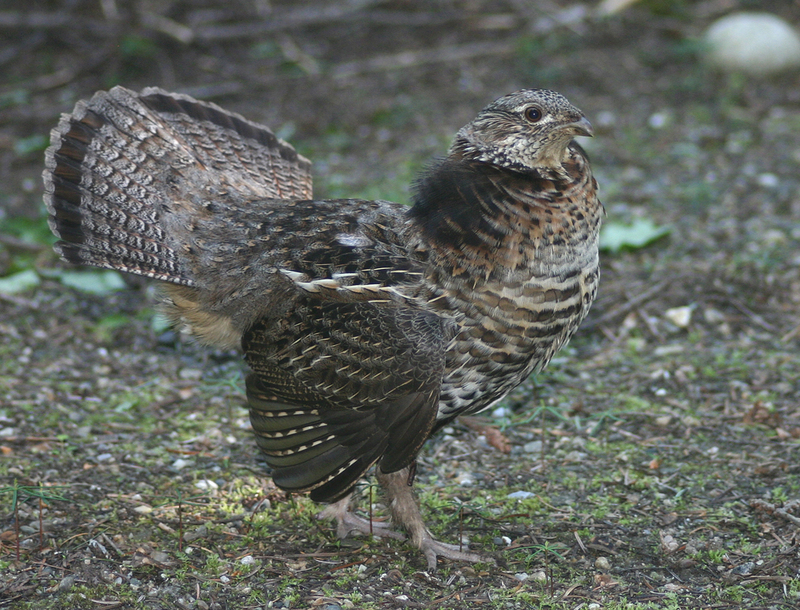 Ruffed grouse that live in snowy areas grow fringes on their toes in the winter that act like snowshoes. (They don't have the fringes in the summer or in places without snow.) Like the weasel, the ruffed grouse stays warm by spending nights and parts of the day under the snow. Take a winter vacation—to Minnesota! The snowy owl's white feathers make it less visible to its prey. 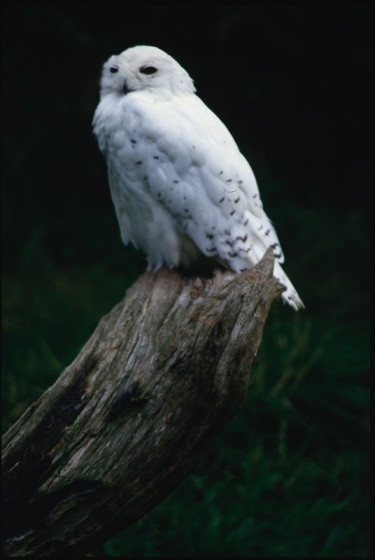 Snowy owls nest in the Arctic tundra in northern Canada and Alaska, but they come south some winters to hunt voles, mice, and other small mammals. Some scientists think their visits to Minnesota are periodic, coinciding with the population lows of Arctic lemmings—a favorite prey. Snowy owls are here in larger numbers this winter; you might see one perching on a tall building, power line pole, flagpole, or antenna. Some have been spotted near the airport. A gray squirrel eats about 40 pounds of acorns each winter. Gray squirrels grow longer coats in winter. 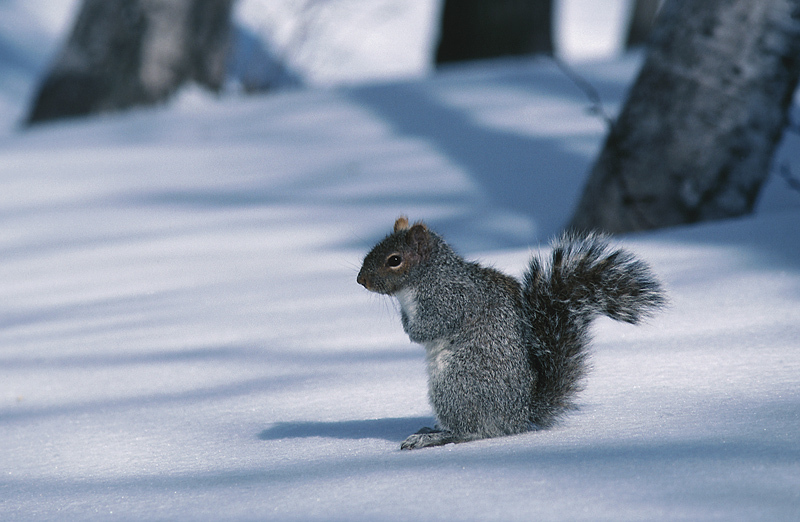 In snowy areas, gray squirrel grow white ear tufts in winter. (Squirrels that live in places that don't get accumulating snow don't grow the white ear tufts.) Scientists think the white ears resemble small patches of snow while the rest of the animal's coloration matches tree bark, making the motionless animal less visible to predators. 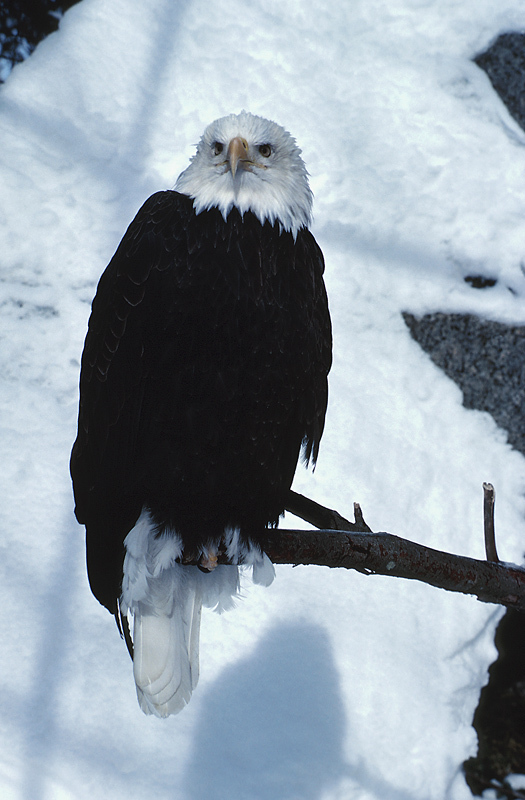 Minnesota is home to a big population of bald eagles. They hunt fish wherever there's open water. You can see them along the Mississippi River between the Twin Cities and Winona. 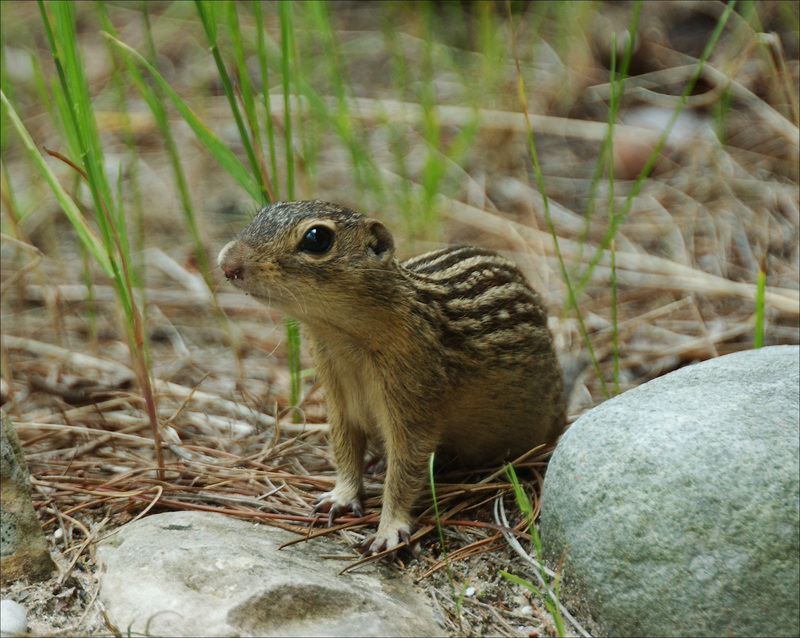 Thirteen-lined ground squirrels, also known as gophers, hibernate through the winter. They put on a heavy coat of fat in the late summer, then hole up in their underground burrows from about October to March. When they hibernate, their breathing rate decreases from 100-200 breaths per minute to one breath every five minutes, and their body temperature cools to within 3° C of the surrounding air temperature, yet they wake in the spring with no ill effects.